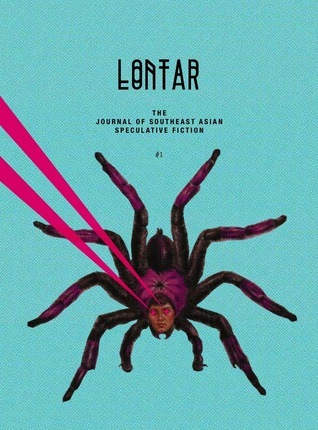 LONTAR #1 is out at last! I want to thank my contributors—Kate Osias, Zen Cho, Paolo Chikiamco, Chris Mooney-Singh, Ang Si Min, Bryan Thao Worra, Elka Ray Nguyen and Paolo Bacigalupi—for being part of the inaugural issue of what I consider a very important literary endeavor; without their amazing writing, there simply would be no journal. I also need to thank Kristine Ong Muslim for her keen poetic eye, and for being a wonderful sounding board during this entire process. In addition, thanks to Kenny, Renée, Jocelyn, and everyone at Math Paper Press for believing in the journal enough to help me bring it into being, and to Sarah & Schooling for making it such an unbelievably gorgeous physical product. I am working to get the ebook bundle (PDF/ePub/Mobi) done by the end of the month, but it may be sometime in October before it’s ready. We will be having a launch in mid-October at BooksActually; details coming soon. If you’re in Singapore, you can pick up LONTAR at BooksActually; if you’re outside of Singapore, please buy it at the BooksActually Web Store.